Since today is the last day, I'm gonna publish this raya post. 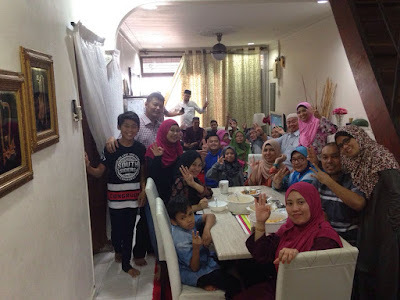 My family has this take turns tradition when it comes to "where should we celebrate the first day of hari raya"
So last year we celebrated eid in Bangi (dad's side) which literally means this year is in Pontian, Johor (mum's side). We got back to our hometown on July 3rd, sunday; last third day of fasting and spent a week there. Day 1 of raya was as usual, after everyone got back from the mosque they filled up their tummy a bit and get ready for the salam-salam session. After the apologizes session ended, ofc it's photoshoot twimeeee! 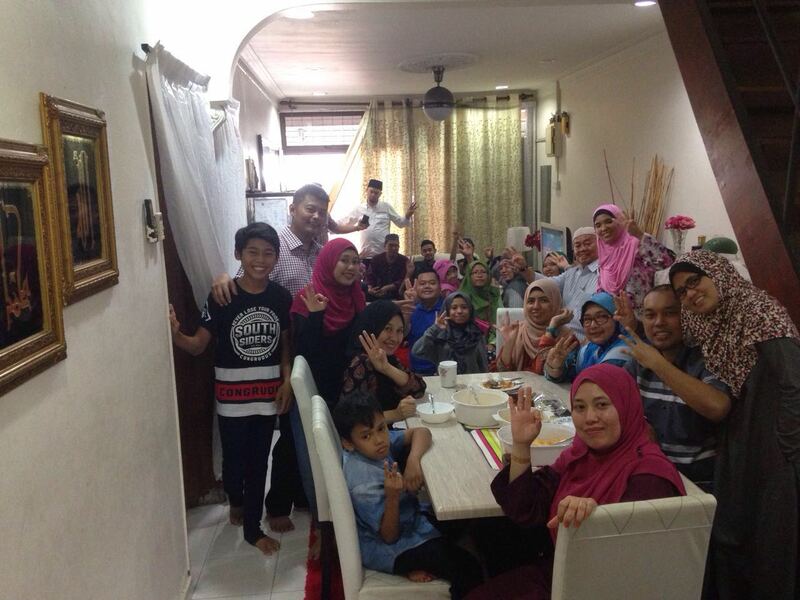 The 14 out of 26 cousins ft atuk & nenek. People came to our house so basically we just spent the first day at home. 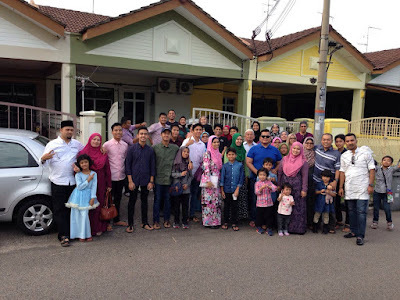 Oh wait, we went for only two houses to beraya that day. I felt so sleepy all day like gurl it's raya and all u wanna do is sleep ke gosh?!? Probably because of the rendang and ketupat and lemang and all the raya foods. Day 2 of raya will usually be the day of waiting for the other families whom spent their first raya at in-laws to arrive, also the busiest day because people coming non stop and I need to serve them and helped with the kitchen thingy (ok i actually only isi kuih raya in the balang bcs the other things my aunts did) hehe. Day 3 was the day we actually go beraya. With everyone convoys, we went beraya to Johor Bharu since early in the morning till late night. And you can actually imagine how FULL & EXHAUSTED I was. My stomach literally can explode at anytime hahaha. Basically my raya at kampung ended on day 3. Because the next day, saturday, we're back to Bangi because parents gonna start work on monday and kiddos got school also. Beraya at Bangi means weekends were days mum didn't have to cook since every weekend also got open house. The rest of weekdays I spent either going out with my friends or doing nothing at home. I am so blessed for good food. The fact that I'm 19 and still got duit raya.